So after I left the Wendy Williams Show on yesterday I literally had to make a quick outfit change then head over to Lincoln Center by 2pm for the Tadashi Shoji Spring 2013 runway show. Even though I’m running on fumes right now after only getting about 4 hours sleep in the past 72 hours, I just had to attend this show. 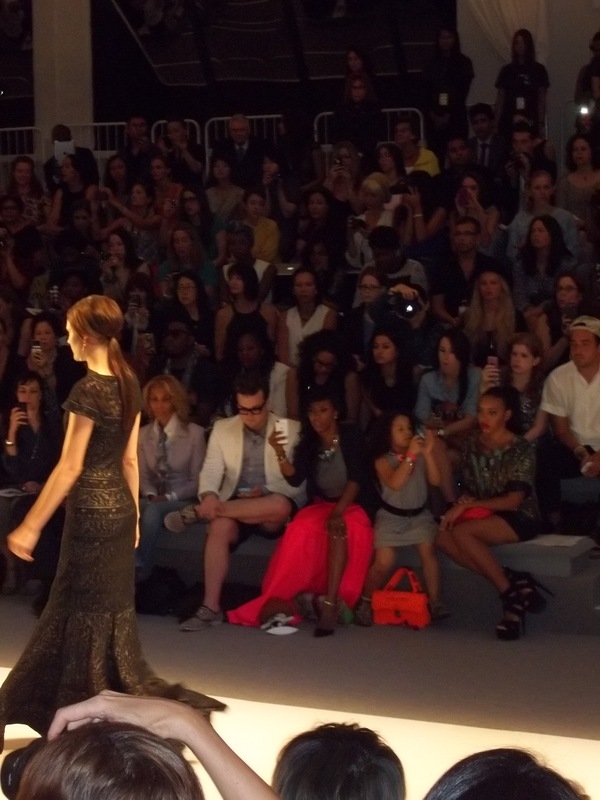 I must admit, this was my first MBFW runway show to attend. But since I was one of the selected bloggers who participated in the Styling Challenge, I was invited. I was seated across from celebs like fashion stylist June Ambrose and Rev’ Run’s daughter, Angela Simmons. She’s quite the fashionista theses days. Anyway the show was filled with beautiful models wearing gowns made of lace and chiffon and I do hope that a few of them come in plus-sizes too. For the Spring/Summer 2013 collection Tadashi Shoji says that he wants to take us on a journey along the Modern Silk Road. These are some of my favorites that I spied on the runway.